The epitome of romance and relaxation, island sunsets are even more magical when viewed from a catamaran floating on the aquamarine ocean, cocktail in hand. SUNSET CRUISES abound around Maui, offering a variety of styles sure to match what you’re looking for. PRIDE OF MAUI features a one-ofa-kind COCKTAIL CRUISE aboard its spacious and stable Maxi Power Catamaran, the largest on Maui. The boat departs from Ma‘alaea Harbor and returns after a TWO-HOUR JAUNT along the majestic Maui coastline, which includes DINNER, AN OPEN BAR AND LIVE MUSIC. Also departing from Ma‘alaea Harbor is ALI‘I NUI SAILING CHARTERS, which offers a sunset cruise complete with APPETIZERS, DRINKS, CHAMPAGNE AND A COVERED CABIN. The company will even provide transportation to the boat from most West or South Maui resorts. The cruise lasts TWO HOURS and is GROWN-UPS ONLY. PACIFIC WHALE FOUNDATION conducts SEVERAL SUNSET CRUISES that DEPART NIGHTLY from Lahaina Harbor. The foundation also offers trips from Ma‘alaea Harbor, including the Island Rhythms Sunset Cocktail Cruise on Friday evenings, hosted by local reggae star Marty Dread. MAUI SNORKEL CHARTERS offers guests the ability to CUSTOMIZE their own adventure for the perfect experience on Maui waters. Whether it’s a sunset cruise, a trip to a coral garden or celebrating a special romantic occasion, there is no limit to what a Maui Snorkel Charters PRIVATE ADVENTURE can entail. Depending on the length of your charter, the menu may consist of simple snacks or a fully catered meal. Sunset views along the West Maui coastline await diners aboard HAWAI‘I OCEAN PROJECT‘s DINNER CRUISE via the Maui Princess’ OPEN-AIR UPPER DECK seating. Guests take in Maui’s famous starry skies and are entertained by LIVE MUSIC while seated at linen tables serviced by tuxedo-clad waitstaff. And if you’d like to hop aboard your catamaran from Ka‘anapali Beach, check out TRILOGY’S sunset cruise, which includes APPETIZERS, DRINKS AND VIEWS OF MOLOKA‘I AND LANA‘I. KAANAPALI OCEAN ADVENTURES provides romantic afternoon SUNSET SAILS on its DAY CHARTERS, which are COMPLETELY TAILORED to you and your loved one’s personal needs, enabling couples to craft their own cruise for two. 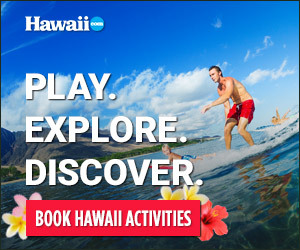 Visit kaanapalioceanadventures.com.